Passwords cannot contain the user's account name or parts of the user' full name that exceed two consecutive characters. For information on your Comet ID password, and your Banner password review our FAQ's below. What happens when I first sign-in to myCCC? Upon first sign-in to the myCCC Portal students will be required to change their password and add recovery information in case of lost credentials. For more information view our First Time Users How-To Document. If you have forgotten your password and haven't signed into the myCCC Portal yet, you will need to contact the ITS Help Desk. For more informaiton view our Forgot Password How-To Document. How do I reset my Comet ID password through myCCC (Student/Employee)? If you need to reset your password and have signed into the myCCC Portal after October 22nd, 2018 you can sign in and go through the password reset steps found on our How-To Document. If you need to reset your password and haven't signed into the myCCC Portal after October 22nd, 2018, you will need to contact the ITS Help Desk. How do I reset myCCC Recovery Questions? If you need to reset your myCCC Recovery Questions and have signed into the myCCC Portal after October 22nd, 2018, after you sign in you can go through the Reset Password option to change your questions. For more information view our How-To Document. If you need to reset your myCCC Recovery Questions and haven't signed into the myCCC Portal after October 22nd, 2018, next time you sign into the portal you will be asked to change them. 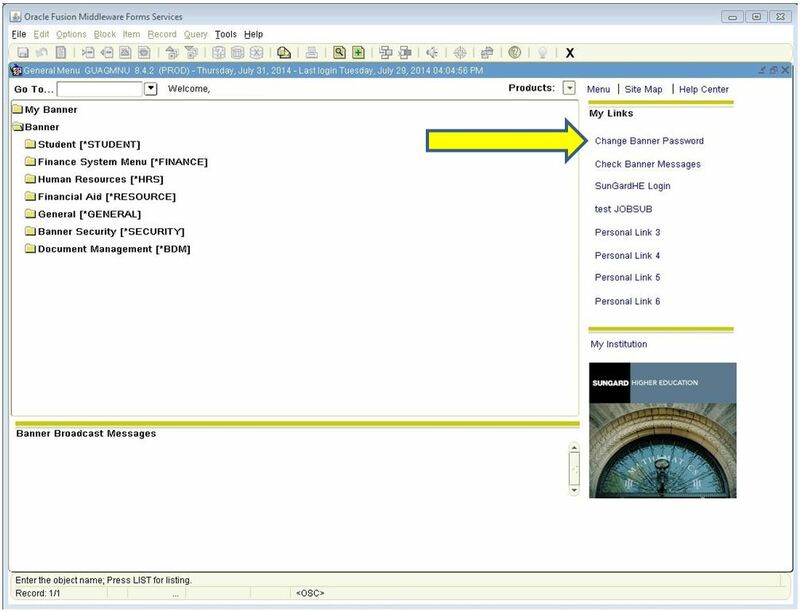 For more information view the How-To Document under "First Time Users"
How do I reset my Comet ID password through Webmail (Employee)? To use Webmail to reset the Comet ID password, you must be an active employee. You can access the Webmail Reset PDF guide by clicking here. How do I reset my Comet ID password through Windows (Student/Employee)? Once you are signed into a Windows machine, you can press "CTRL+ALT+DEL" again and choose the option "Change a Password." For more information on this function, view #3 the Windows 10 PDF Guide. I'm a new student, what is my password? A students initial password is the students 6 digit birthday (MMDDYY format). The student will be required to change their initial password after first login to myCCC. How often will I need to change my password? The maximum password age for a user is 120 days. (~4 months) This policy setting determines the period of time (in days) that a password can be used before the system requires the user to change it. What do I do if I forgot my Banner password? How do I update my Banner password? To update your Banner password, use the “Change Banner Password” link on the right hand side of the Banner session window. If you have not updated your password in the last 120 days, you will receive a warning after logging into Banner INB, “ORA-28002: the password will expire within 7 days (screenshot below).” One the 7th day you will be forced to update your password. My Banner account has been locked. How do I unlock it? There can be various different reasons on why your Banner account has been locked. The most common is if you type the wrong Banner password in more than 5 times in a row you will be temporarily locked out of Banner for 10 minutes. After 10 minutes you can try again.